MIPECO (a Greek company), under the management of Mrs. Irene Tsiakka, today dominates the field of advanced structural materials, having more than 22 years of experience. 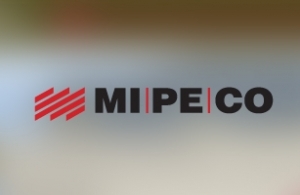 MIPECO employs a fully trained technical and scientific staff and has obtain important strategic partnerships, in order to fullfil its commitment, as well as the vision of the founder, to provide innovative technical solutions, that combine optimal performance, reliability, economy, originality, and aesthetics. After many years of coloboration Mrs Tsiakka came to us in order to redesign and re-structure all information mipeco had. First we re-developed a fully dynamic website, with all categories and sub-categories, a rich photo gallery in each product, news and many many more. We stayed focused on Search Engine Optimization. Users can reach mipeco's website easily and rapidly. With the redesign and development of the website, we manage to make the website appear in the first results on users’ queries.